With winter just around the corner, this week’s theme is Cold Weather Running Tips… I’ve written about dressing for different types of weather (Flat Runner Guide To Dressing For Your Run), but I haven’t written specifically about tips for running in cold weather until now. 1. Dress For Once You’re Warmed Up – I see this more than any other mistake runners make. You should always dress for a mile or two into your run, not how you feel when you walk out the door, or start the race. The body is an amazing thing, and it warms up as it starts expending energy. Clothing that’s comfortable before you start running, will most likely feel too hot once you’ve warmed up. 2. Wear The Right Clothing – Winter running clothes need to be warm, but they also need to breath and allow the sweat to be wicked away from the body to prevent chilling. Look for polyester blends, and expect a unique name from each different manufacturer (example: Nike = DriFIT). 3. Layer, Layer, Layer – Layering goes along with the first two tips, but deserves a mention of it’s own. The temperature can change drastically during a winter run, especially if the sun comes-and-goes between clouds, or a cold rain starts. Most winter days, I wear either a short or long sleeved shirt covered by a light windbreaker jacket. If I get too warm, I tie the jacket around my waist, and if I get cold again, I can easily put it back on. 4. Don’t Forget Your Extremities – You can be dressed perfectly for the cold weather, but if you forget to cover your hands, feet, and ears properly, you’re setting yourself up for a miserable run. I wear my merino wool Feetures socks in extremely cold weather, but otherwise my Ultra Lights are perfect. My hands and ears are another story, though. If the temperature drops below about 45-48°, I need gloves and ear warmers. When it gets extremely cold I add mittens on top of my gloves and pull out my hand warmers. I don’t own a running balaclava, but when the thermometer drops to the dangerous digits I’ve been known to pull out my ski neck warmer and pull it up over my mouth. 5. Properly Hydrate – When you’re not hot and sweaty, it’s easy to forget to hydrate properly. You won’t need to take in as much water when you’re not sweating profusely, but you still need to replace those lost liquids, so drink up. Bonus: Light Up And Be Seen – Most of my cold weather runs are in the dark, so I make sure I’m lit up and can be seen by other runners, bikers, and motorists. I rarely run without my Petzl headlamp and Nathan tail light, and if I’m going to be near traffic I wear my Nathan reflective vest. Knuckle Lights complement my headlamp, and are great for showing pavement irregularities to help prevent falls! 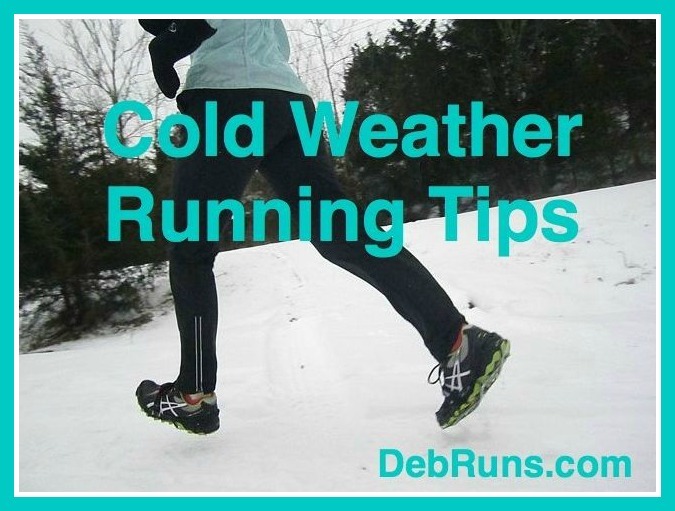 What’s your best cold weather running tip? Do you do very much night running? Good to dress in layers, but don’t want to over do it – Dress For Once You’re Warmed Up is a great rule of thumb. My thought is that I’d rather be uncomfortable (too cold) for a mile, than uncomfortable (too hot) for several miles. The hand warmers were a life saver last winter especially while standing around before races. Happy Birthday friend!! YES – hand warmers before winter races was the best thing I ever tried! Hope your birthday weekend was amazing! All very good tips! Layering is definitely key. I’m doing Spartan Race tomorrow in Fenway Park and it’s my last official race of the year. I think my tally is somewhere around 20 races this year but I haven’t counted recently. It’s dark every weekday morning when I run. I have a NiteBeams LED armband that works really well for others to see you. I’m running a 5k in the morning. It will probably be around 30 degrees at race start. Hope your 5K went well! I love that purple jacket! And great tips, being seen is a great tip. I got the purple jacket at Costco last year, but a friend told me that they have them again this year. You can’t beat the price! I think it was something like $27 or $29. Great tips! I’m starting to wonder if I should buy a headlamp…it is scary running outdoors at night! Gotta stay safe out there! Other than being seen, headlamps let you see the irregularities on the pavement so you don’t trip on bumps. Stay safe! Great post, Deb! Yup- winter running is definitly here for us, or at least it was this past week! My best cold weather running find was Goretex running shoes. They make a world of difference for my ice block feet that refuse to warm up! If you can’t find Goretex running shoes that work for you, duct tape the tops and sides! Oh my gosh – duct tape! It fixes everything, and what a great idea! Thanks for the tip. Hydrating is something I don’t think as much about in the winter bc I am not as hot but I need to remember that it is just important. 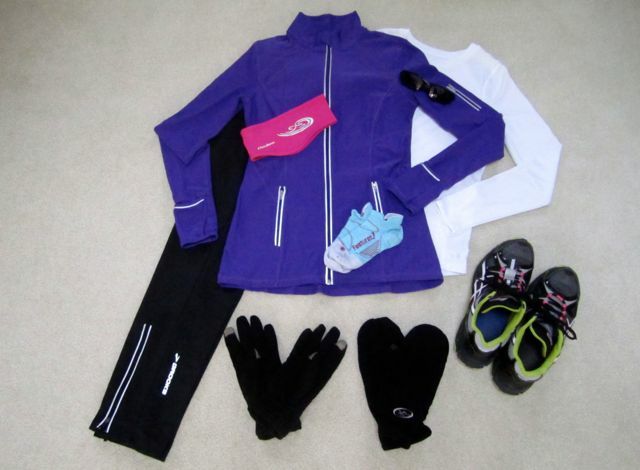 Lacey@fairytalesandfitness recently posted…Items you’ll want for cold weather running….. Drinking enough water is so easy to forget. I don’t carry water with me as often on my winter runs (only on my longer runs), but I try to drink plenty before and after. I have such a hard time layering properly! Think thin! Thin layers so you peel them off as you need to, unless it’s really cold. great tips – you are an excellent layer-er 🙂 and happy birthday!!!! Lighting was an important winter running tip on my list as well! How do you like your head lamp? I use the Fuel head lamp, but the battery case broke when it fell off my helmet during a ride last year so I wouldn’t mind finding one that is a bit more durable. I like my headlamp very much, but it’s plastic so it would probably crack if I took a hard fall. I like my headlamp very much, but it’s plastic so it would probably crack if I took a hard fall. Of course, in that case, my head might crack, too! I had my first cold run of the winter today and was right on the edge of overdressing. Thankfully, both my jacket and my shirt had zippers, so I unzipped until I turned into the wind and had to zip back up. I’m the odd one who only keeps gloves on for the whole run in extremely cold weather. My hands (which are normally cold) get super warm when I run. We certainly did have some cold mornings over the weekend, didn’t we? I usually start with mittens over my gloves, but take the mittens off at some point when my hands warm up. i love your flat runner guide to dressing for your run — i’ve book-marked it! last night i ran out and bought a shell jacket and used it for my first ever mrtt run this morning. it was great (both the run and the jacket)!! Cool! I’m glad that you found my dressing guide useful! 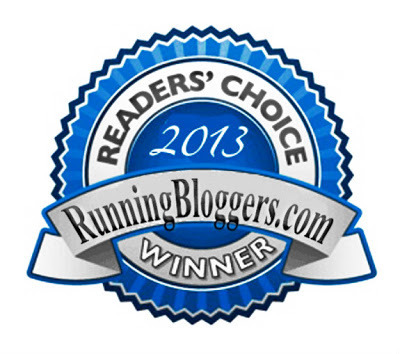 How did your MRTT run go? 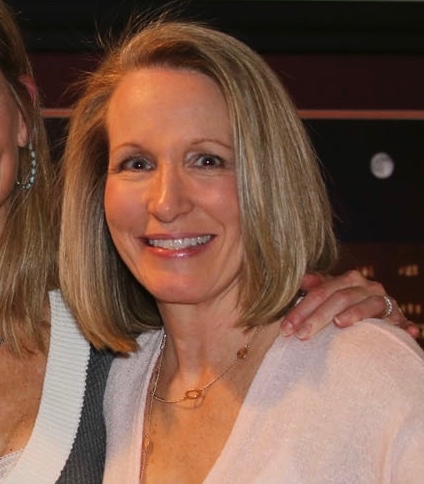 Did you get to meet Sue? i did meet sue and some other lovely ladies — everyone was really friendly and welcoming and we went on a brand-new-to-me route downtown in dc so it was a lot of fun! 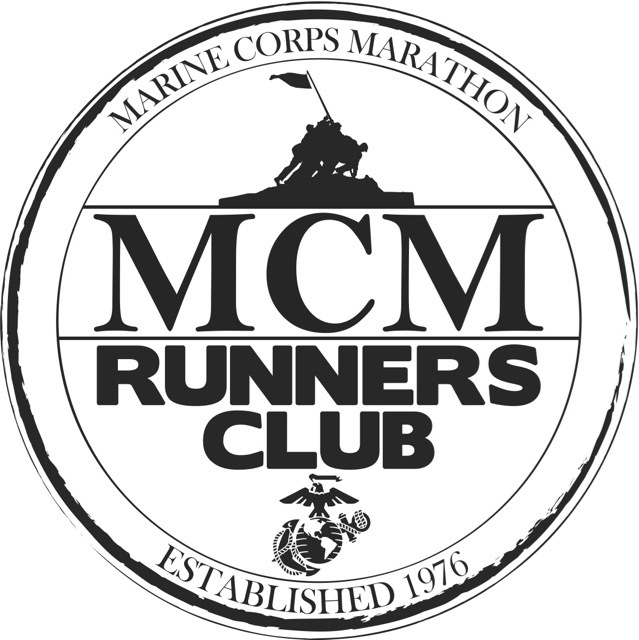 I’m so happy you had a great run with the MRTT group! That’s a great layering question. If I think there’s a good chance I’ll leave the jacket on the whole time, I pin my bib to my jacket. But if I think, there’s even a slight chance I’ll take my jacket off, I’ll pin the bib to my shirt. If anyone questions me, I can just unzip or pull up my jacket so they can see the bib. Great tips! It was 20 degrees when I met my running buddy this morning, and it was the first time this season I’ve had to think hard about what to wear. I couldn’t remember what I typically wear for that temperature! Luckily I nailed it, and once we got going only my face was freezing 🙂 I have those same Brooks pants you have pictures. Love them! One winter item I really need to invest in: a lightweight, wind/water proof outer shell that I can wear on windy or rainy/snowy days. Mom said it was 9° at her house yesterday morning. I’m not ready for that! Me either! We are expecting below freezing (they said -4) with the windchill tomorrow morning. Yeesh! !